en de broer van de eerste, nl. ‘el Maestro’, Arsenio de la Rosa. de la Rosa. Four true stars on the squeezebox, hot hot hot..
02 – Bartolo Alvarado – Quien lleva los pantalones ? This entry was posted in Dominican Republic, Merengue, Pambiche, Ripiao by Moos. Bookmark the permalink. No one said anything? Wow, this is fantastic. 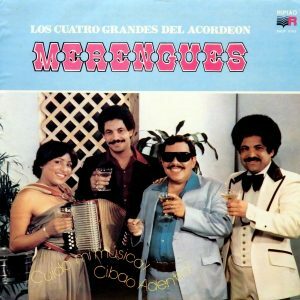 Really great Merengue collection! Thanks for sharing.